Have you been wondering what the Self Help Goddess is reading? Several of my followers on Twitter ask me regularly what I’m reading, so I’ve decided to start making my reading list available here on my blog from time to time. I will let you know what I’m currently reading (usually a mix of about 5-6 books at a time! ), my reviews of what I’m reading, and what’s coming up next on my reading list. I read a TON of self help books because that is my true passion, and one of the ways I love spending my free time. If books are particularly helpful to me or have brought me significant insights or results in my life, they are then added to my website. 1) Love Will Find You: 9 Magnets to Bring You and Your Soulmate Together, by Kathryn Alice. I had not heard of this book until recently, but I’m so glad I stumbled upon it! Kathryn is a spiritual teacher at the Agape Church in LA, run by Michael Bernard Beckwith, and approaches the topic of finding your soulmate as if it is a given for everyone. This book contains 9 love magnets to implement that will help you attract your soulmate to you (by doing things like releasing old relationships, making a soul call to your future partner, etc.). What I particularly liked about this book was the way it seems to change your beliefs about relationships, even without you consciously realizing it! No matter what type of relationship history you've had, this book will make you feel like your soulmate is just around the corner and that they will be even more amazing than you ever expected. 2) Get the Money! Get the Money! Get the Money!, ebook by Tom and Penelope Pauley. 3) Move Your Stuff, Change Your Life : How to Use Feng Shui to Get Love, Money, Respect and Happiness, by Karen Rauch Carter. I’ve always heard about the benefits of Feng Shui, but have never used it in my life. I picked up this book because the reviews said it was not only informative, but also a lot of fun… and I agree! I haven’t even gotten to the end of this book and I’ve already noticed results. The chapter on creating more prosperity in your life mentioned putting a large chunk of purple amethyst (crystal) in the prosperity corner of your home. The other day I came across such a crsytal in a store and decided to purchase it for my prosperity corner. The amethyst started working the minute I purchased it, because when I took it up to the counter to pay for it the shop owner immediately decided the price was too high and he knocked the price down by $12.00! Now I'm convinced that Feng Shui principles work and I'm focused on getting the rest of the corners in my home lined up properly. 4) Attracting Perfect Customers: The Power of Strategic Synchronicity, by Stacey Hall and Jan Brogniez. I’ve had this book on my bookshelf for awhile now, but was just inspired to pick it up and read it through to the end (I read a few chapters several months ago). When I first started reading it I hadn’t yet started the SelfHelpGoddess website, but now I am reading it from a new perspective and I LOVE IT! It talks about discovering your purpose or mission for running a business or website, and determining who is your perfect customer or client that you are trying to attract to your business. The authors talk about creating a Strategic Attraction Plan, which serves as a sort of blueprint for attracting your perfect customer. 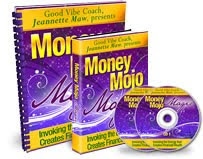 The principles of this book are based on the law of attraction, but this is an inspirational and informative business book that all business owners can get into (not just spiritual-based entrepreneurs). 5) Hip Tranquil Chick: A Guide to Life On and Off the Yoga Mat, by Kimberly Wilson. OK, so technically I've already read through this book a few times, but right now I'm using it as sort of a reference book to keep me on track! I keep it by my bedside and refer back to it every couple days or so because it is just such a fun read, not to mention it is packed with great information. This book is a sort of "lifestyle guide" for being a hip, tranquil chick in today's busy and modern society. It has chapters on creating a consistent yoga practice, pursuing your dream career, keeping your finances on-track, maintaining a self-care practice, and managing a busy social life, among others. I know Kimberly personally and she definitely embodies the modern hip, tranquil chick! This is a book you will love so much you will keep referring back to it for inspiration, as I do. 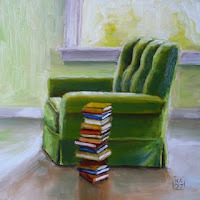 As you can see, I read books and ebooks on a variety of subjects! 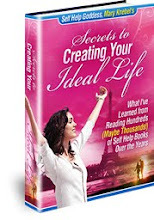 Basically, I read anything I can get my hands on that has to do with creating your ideal life, in all different areas (love, money, home, business, etc.). I believe that we all have the right and potential to be living our ideal lives on a daily basis, and I love finding those resources that bring us all one step closer to our dream lives! 1) Making Room for Mr. Right: How to Attract the Love of Your Life, by Robin and Michael Mastro. 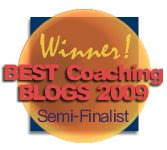 2) The Power of Focus: What the Worlds Greatest Achievers Know about The Secret of Financial Freedom and Success, by Jack Canfield, Mark Victor Hansen, and Les Hewitt. 3) Love as a Way of Life: Seven Keys to Transforming Every Aspect of Your Life, by Gary Chapman. 4) How to Attain Your Desires by Letting Your Subconscious Mind Work for You Vol.1, by Joe Vitale and Genevieve Behrend. 5) Things Will Get as Good as You Can Stand: (. . . When you learn that it is better to receive than to give) The Superwoman's Practical Guide to Getting as Much as She Gives, by Laura Doyle. What about you? What are you currently reading? I’d love to hear any suggestions you have for future books I can add to my list, or any comments you have about the above selections! Thanks for the recommendations - and looking forward to your ebook too. I love the reading list on your site too, btw! I've discovered lots of wonderful finds there in the past. Can't wait for your next book to come out!